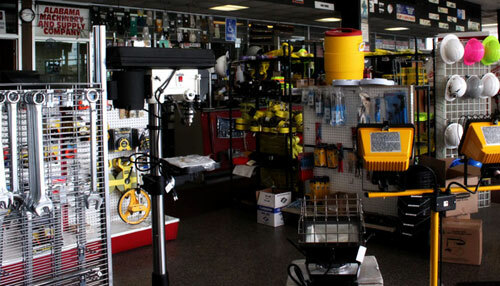 Youll find listed below a sampling of our inventory and vendors. Alabama Machinery keeps a wide variety of products in stock, but virtually anything is available by special order. If in doubt, contact our sales department by phone at (334) 269-4351 or (800) 392-5815, by email, or by filling out our online form. Open Monday-Friday until 4:30 p.m.
Design and content copyright © 2011, Catherine E. Reinehr. All rights reserved.